We paid an emotional visit to the area where the Twin Towers of the World Trade Center stood. When I went there in 1981 I souvenired a leaflet, which declared “The closest some of us will ever get to heaven” – shades of the Titanic? 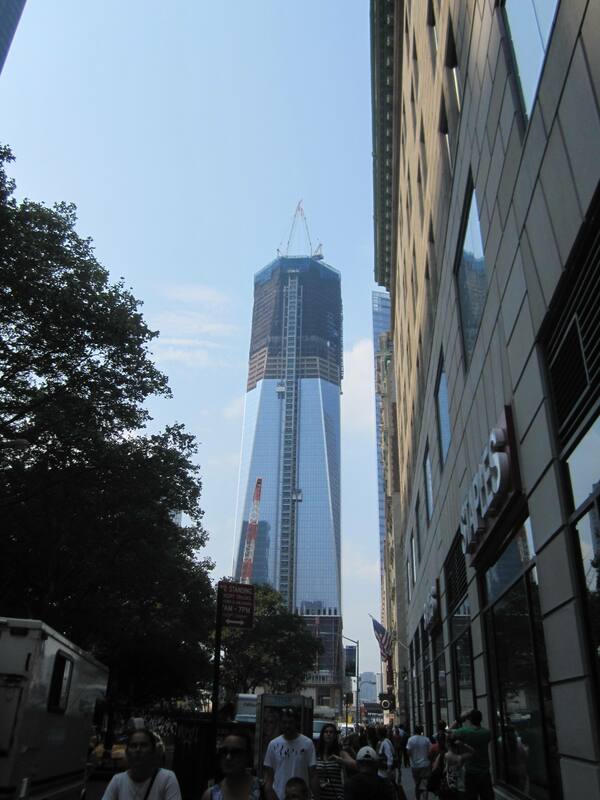 There is a temporary memorial which will move to the currently being built Freedom Tower. There were moving stories to read and then we walked over to an exhibition of photographs, taken by professionals and amateurs of various aspects of the actual event and the aftermath. As I was nearly crying at the beginning of this, imagine how I felt by the end. After having been here in 2001, just ten weeks after those horrific events, where you could see roads buckled far away from actual Ground Zero, it is an air of positive hopefulness that I could feel. At the service we had attended in Middle Town, they spoke not of victims, but of survivors. 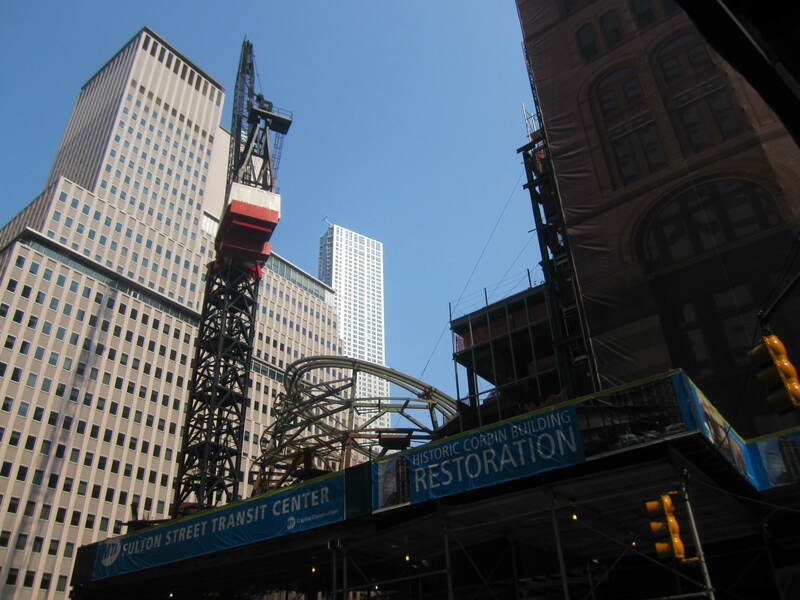 Construction of the Freedom Tower is in full swing, and there is a special memorial also being built. Life goes on. 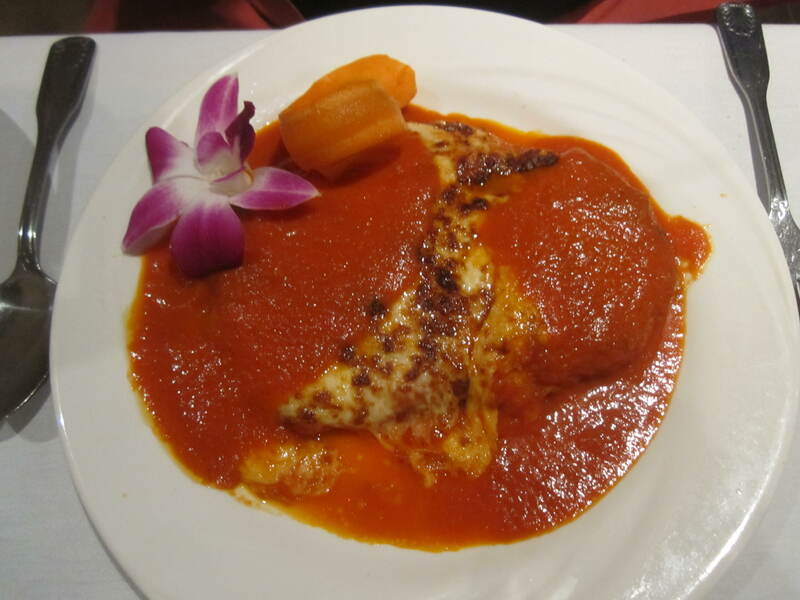 Recommended by my good friend Teri, we made our way to Little Italy, to source out a restaurant she had recommended. Teri is a real foodie, and anything she suggests is usually a winner. Taking the subway, we alighted at Grand Canal and walked up to find Little Italy, past markets and various places selling all manner of things, avoided by me only because of my precarious baggage weight. We saw that many stalls were being set up, as apparently the next day was the start of a big food festival in Little Italy. Da Nico’s was very reasonably priced and delicious, a fitting end to our stay in New York. 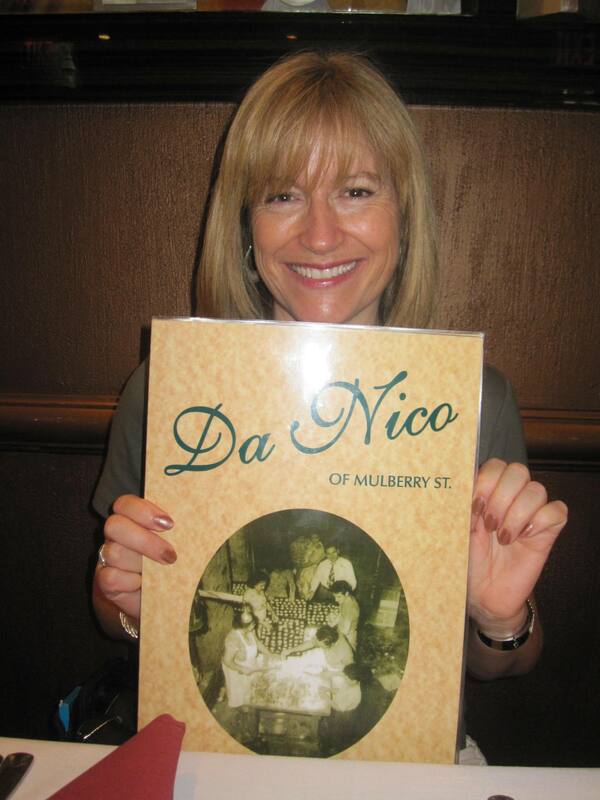 This entry was posted in USA and tagged 9-11, Da Nico's, Little Italy, New York. Bookmark the permalink.